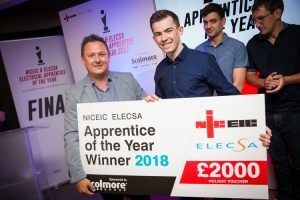 The 21-year old was one of eight competitors to reach the Grand Final, which was held at the head office premises of Scolmore Group – the competition’s official partner – on Tuesday, 5th June. 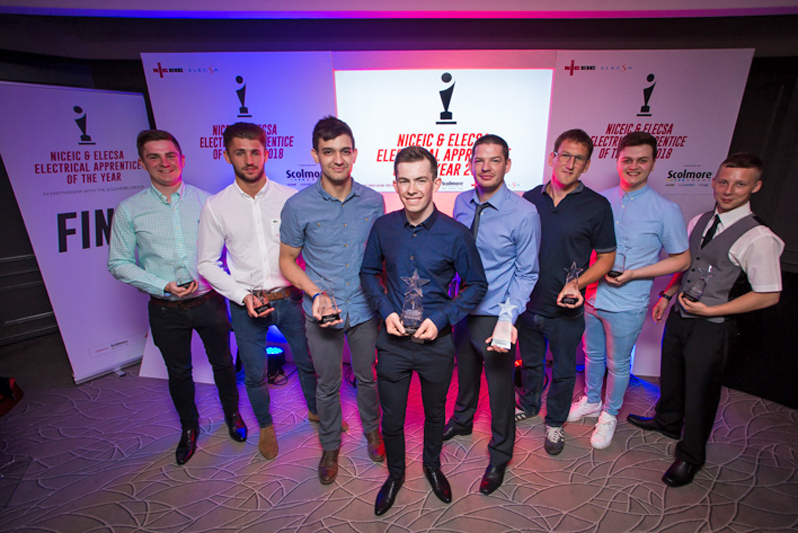 The winners were announced at a BBQ and awards ceremony which took place on the same evening at the nearby Belfry Hotel. Handing over the prizes were Alan Wells, technical and standards director at Certsure; Neil Baldwin, sales and commercial director at Scolmore Group Company, ESP, and Billy Byrne, star of TV’s DIY SOS. The finalists had to battle through two stages of the contest, which began back in October last year. The first stage of the contest was an online exam comprising a variety of questions relating to electrical installations. The top 20% performing students then progressed to stage 2 – a written 1 ½ hour exam held at eight locations across the UK. Zach is currently in his second year as an apprentice with North Star Electrical. He is still trying to get used to the idea that he is the 2018 NICEIC and ELECSA Electrical Apprentice of the Year, but he is already planning a cruise to Italy with his girlfriend. Previous : Smoke Alarms: Have We Found The Missing Link?